A new mixed use building in Soulard that will house a Subway restaurant on the ground floor and two apartments above is nearing completion. The building is located at 1831 S. 7th Blvd. Those familiar with Subway restaurants may be surprised to see a building that is substantially more ornate than a typical free-standing model. The South 7th Boulevard site is located within the Soulard Local Historic District, which maintains strict design guidelines for new construction. Unable to gather neighborhood support for a variance from the Historic District regulations to allow for an automobile-oriented, free-standing Subway restaurant, the Subway franchisee was forced to consider and ultimately build a mixed-use model on this site. 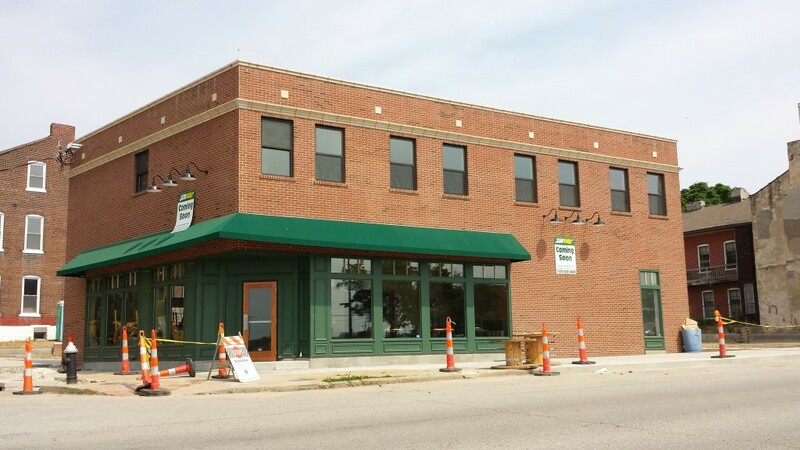 Another mixed-use Subway restaurant is under construction across the city in the King’s Oak neighborhood along South Kingshighway. The plans for that building, which is now well under construction, are summarized here. The site was once a service station. Per city permit records, that service station was torn down in 1991. The lot has been vacant until now.